Puerto Rico, located in the Caribbean, is known for its crystal blue beaches, breathtaking landscape, mountains, waterfalls, and historical filled structures. There are so many “Puerto Rico Must Dos” that it could be overwhelming making an itinerary and knowing what to do. 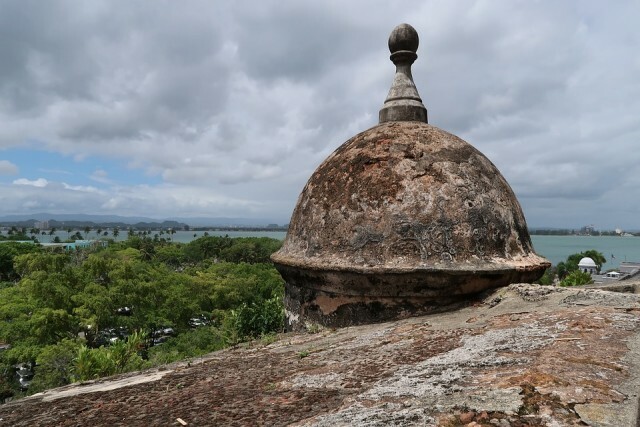 First on the list for Puerto Rico Must Dos is Castillo San Felipe de Morro and Castillo de San Cristobal. These two castles were built by Spanish engineers and were meant to guard the city from enemies in the sea. Castillo San Felipe del Morro, or El Morro for short, is a six level fort on top of high land. When you visit, you will be mesmerized by its 27 acres of land, 60 foot tall walls and old cannons. Since it is located on high land, the views of the sea and surrounding areas of Puerto Rico are breathtaking. Next up on the for Puerto Rico Must Dos is the El Yunque National Rainforest. Puerto Rico is considered United States Territory. With that, the El Yunque National Rainforest is one of the few rainforests located in the United States. The rainforest stretches for over 28,000 acres of land and is considered a very popular spot due to its hiking, waterfalls, and foliage. You can expect to see a vast variety of birds, bats, lizards, and frogs. Although snakes are rare, there is a Puerto Rican Boa. If you decide to visit, you can even book a stay at one of the lodging opportunities located at the edge of the rainforest. Last on the list for Puerto Rico Must Dos is to take a day trip to Culebrita Island. Culebrita Island is only one kilometer long and is uninhabited. However, by boat, you can plan a day visit to one of the six beaches. It is famous for its turtles. While swimming in the waters, people have been known to swim next to a variety of turtle species. The island has a west side and east side. On the east side there are large tidal pools that you can take advantage of swimming in. The west side is known for snorkeling and scuba diving. So, let us worry about shipping your car to Puerto Rico, while you worry about which activity on the Puerto Rico Must Dos list you want to check off first!